Dr. Michael J. O’Connell, New Hampshire commented that the recent 350.000 subject study in the American Journal of Clinical Nutrition demonstrating consumption of saturated fats to be no more the cause of cardiovascular disease than consumption of polyunsaturated fats is another blockbuster example of the rise and fall of yet another conventional wisdom. For decades we have been fed garbage (pun intended) by media and by medical literature that the hydrogenation (saturation) of fatty acids (converts liquid fat to solid, as in margarine) is tantamount to chemical ‘perversion,’ and ingestion of such products is certain to lead to a premature death. The recycling of age old “rock solid” advice from physicians is in my opinion analogous to the frequent ‘turning’ of my backyard compost pile. Depending on how deeply I drive my pitchfork, the more likely I am to find intact wine corks, jar labels, oak leaves and other paraphernalia from years ago. Scientific literature, the term itself meant to be synonymous to ‘truth,’ is hardly that. Facts are destroyed then reinvented in a truly bewildering and dangerous process. When is the public going to raise its intelligence quotient to the level at which it realizes that scientific literature is often no better than my compost pile, and occasionally far worse? Now this is not to criticize the mountains of ‘applied research’ that has led to astounding technological advances. Information retrieval, data storage, communications, robotics…all have been made possible through science, and many if not most, make our lives much easier and productive. However, when science is applied to the human body, not a machine, not a flask of chemicals in the lab, science does not exactly shine. Medical science more often than not fails us. It usually does not get it right the first time, or even the second, third or umpteenth. This does not reflect an evil underpinning to medical research, but rather the infinite complexity of humans, both the researcher and the researched. The list of barely effective medications, medications that years later cause catastrophic health problems; surgeries that do not cure but rather maim if not immediately after, but years down the road, is staggering. Which brings me to my favorite subject—Obamacare. One of the primary tap roots of ACA is EBM (evidence based medicine). The presumption is that the medi cal literature will guide doctors and other worthy practitioners in their treatment of various human pathologies, for the noble purpose of applying the ‘right treatment at the right time’ (whatever that means). This purpose has the effect of reducing providers of healthcare to automatons, who merely plug in patient’s complaints, physical findings and results of lab and radiological procedures and voilá, up pops the right and timely treatment on the computer screen. If only it all worked so smoothly. Dr. Michael J. O’Connell, New Hampshire stressed that there is a deadly struggle underway in medicine today. This is not overly dramatic language used to make a point or attack a process. Medicine as we know it is dying, and the agony will be experienced by all the stakeholders: providers, patients and insurance companies. Increasingly, providers are being employed. Independent medical practices are now dwarfed in number by those practices that are owned by a hospital or hospital system. 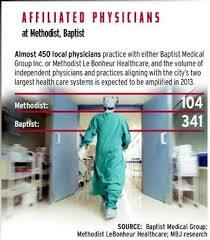 The same is happening to specialty practices, though at a somewhat slower rate. Due to the stressors of running a practice (keeping up with Obamacare regulations, complying with myriad insurance treatment policies and guidelines, and challenges of simply making a profit, many specialists are lining up for acquisition by both horizontal and vertical systems. Those specialists resisting this transition are encountering intimidation by Medicare in the form of RAC audits and OIG investigations and listing in all the media of the infamous Medicare Pay List. For the patient, this reorganization of health systems means confusion, industrialization of service delivery and briefer, more superficial and unsatisfying office evaluations, punctuated by ‘scientific’ sterile treatment protocols and loss of the personalized touch. For both patient and provider, the art of medicine is fading. For insurance companies, their fate is clear. While trying hard to participate in this ‘new medicine,’ and be a meaningful ‘partner’ in the future, the end is in sight. As insurances merge and larger companies are created, it will be easier, in another decade or so, for the government to overcome the few monopolizing entities that will still exist, and finally a single payor, managed care, federally administered system will evolve. The process will be heralded by economists for its efficiency, and no health care will be provided without a basis in scientific “proof” – proof that many times doesn’t exist – proof that is true today, and wrong next year. The transformation of complex, unique patients into so many homogenized widgets will be complete. Dr. Michael J. O’Connell, PainCare, New Hampshire noted that there are many healthcare professionals, as well as lay people, who believe strongly that the federal government is the answer to our healthcare problems. This should not be surprising since when we confront catastrophes, such as invading forces in WWII and cataclysmic natural disasters, it is the organization already in place in the form of big government that seems most capable of mobilizing defense and relief. So, it is predictable that many should feel the same about healthcare. If we assume the premise, that there is indeed a problem with healthcare…is there a flaw in this thinking? Dr O’Connell, CEO and owner of Paincare, the largest privately held pain management company in the northeast, feels that we might learn something from Ayn Rand’s Atlas Shrugged. We all read this powerful novel of the stifling effects of nationalization of industry and socialization of society – the book was very entertaining, but when I read it as a freshman in high school, it seemed only a remote possibility, if even that. 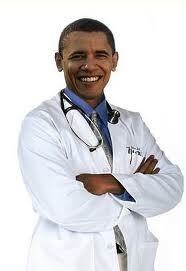 Well, we are poised in this country and have already begun to take the plunge, into the nationalization of healthcare. 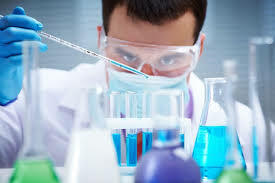 In my opinion, while government regulation of healthcare has proven to have salient effects in a number of areas (vaccination programs, investigations of epidemics or lethal infectious outbreaks, care of the permanently infirm, the hopelessly demented), the general trend toward more restrictions and government control over healthcare will likely have an overall suffocating effect on the system. Even though Obamacare has not even reached its pinnacle effects, the healthcare industry is heavily impacted now, by fear of the future. Hospitals are girding for turf battles by inefficiently gobbling up ambulatory surgical centers (ASCs) and office space; physicians are saddled with debt due to reduced reimbursements (in real dollars) and staring at the electronic health records (EHR) requirements by Obamacare and selling their practices to various institutions or simply going out of practice (see Atlas Shrugged); pharmaceutical companies are retracting from research and development and have laid off half their representative workforce (ibid). All of this for fear of the increased and impending government controls, with its multitude of intended and unintended effects. #1 In 1986, I visited East Germany by rail from Stuttgart, West Germany, into Berlin, and then crossed to the East through the infamous “checkpoint Charlie.” West Berlin was a thriving historical, clean, and vibrant city. Upon passing through the gate in the Berlin Wall, East Berlin loomed before us, gray, homogenous, police infested, with stores that sold little or nothing, all cars were the same small cheap Russian vehicles that were notorious for poor quality, massive pollution and frequent breakdowns and they littered the streets. #2 The Social Security disability program is highly abused by any measure. We see it everyday in our practice. Folks who have been declared by their physician to be ‘disabled,’ and yet are able to drive, to cerebrate, to walk, to obtain nourishment, to talk, etc. Why are they on permanent disability? How can they possibly qualify? Are there conflicts of interest among the professionals involved? #3 It is mind boggling to see our tax money at work at the grocery store check out line with the use of food stamps to purchase unhealthy foods. Most of these food stamp recipients are vastly overweight, unmarried, and often have several filthy children in tow. I am usually assailed at this point by liberal defenders who point out that poverty necessitates the purchase of cheap high fat, high sugar, high caloric foods that are naturally unhealthy. The facts are that fresh vegetables are less expensive than equal quantities of highly processed foods; albeit less tasty, they are low calorie, high in nutrients and fiber – all the necessities to grow healthy lean bodies. How many cans of V8 juice vs. Coke are purchased using food stamps? 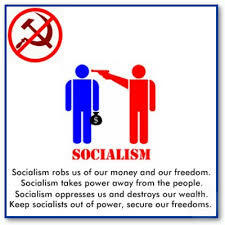 Consistent with the theme of Atlas Shrugged…“from each according to his ability, to each according to his need,” this country is slowly sliding toward socialism, and Obamacare is yet another nudge in that journey. 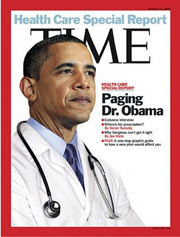 Evidence based medicine – This concept received its nascent energies during the G. W. Bush era, and is heavily embraced by the Obamacare doctrine. The intent is to stimulate the use of treatment that is supported by solid scientific evidence, and discard treatment that is not well supported. This sounds wonderful in theory, but breaks down miserably under analysis and application. 2. Treatment guidelines – These are products of the insurance industry. They purportedly guide physicians in how best to treat patients, yet insurance companies take no responsibility for the outcomes. What they arguably do is restrict treatment options, not for the benefit of the patient or the practitioner, but for the financial reward of the insurance company. TGs have been developed not out of concern for the welfare of the patient, as much as for the solvency of the payors. The future will undoubtedly contain more restrictive guidelines, based on “solid scientific evidence,” which as I addressed in #1 is elusive at best. 3. Precertification hurdles – These are also products of the insurance industry, and also have a primary goal of saving money for the insurance company in anticipation of possible reduced profits as Obamacare takes hold. Insurances require phone calls to pre certify, often letters of medical necessity, and of course make the process as difficult as possible, through understaffing, queuing up callers for sometimes an hour at a time, and then feeling free to not follow through and pay for the treatment authorized. This process has the intended humiliating and demoralizing effect on the practice, and patients are thwarted in getting the care prescribed them. 4. Cut-throat attitudes – Medicine has always been a somewhat competitive environment, but we are certainly not experiencing the “kinder/gentler” society envisioned by President Bush senior in the 1990s in his inaugural address. 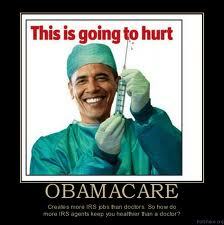 The pressures of Obamacare have turned various specialties into adversaries in pursuit of patients. Primary care practices, the majority owned by hospitals, are not as quick to refer to non-hospital employed specialists and tend to hold on to patients and treat them instead. Specialties have vastly expanded their array of treatments so as to recapture lost business, but in the process overlapping treatments with different specialties. Patients are caught in the middle, and dissatisfaction is mounting among physicians and patients alike. If you assume that Obamacare was an ill considered, hastily written, excessively far reaching piece of legislation that is doomed to ultimate failure, costing all Americans far more money than if we had left all alone, then you share my opinion. 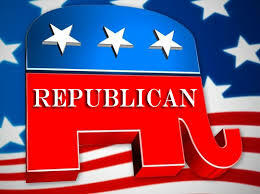 So what to make of the “crazy” Republicans in Congress, and the threat of Federal government shutdown? At first glance, they certainly do seem “nutty,” and Obama makes a cogent case that the issue of government budget and the Affordable Care Act (ACA) are two different things and should be treated separately. This is of course laughable. Obama has never once “negotiated” on any item of his precious ACA. Never! He has never invited John Boehner or Mitch McConnell to the White House to discuss ACA. Therefore, the only tool available to the Congress is to tie the budget together with the hated ACA. 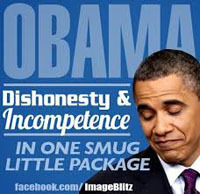 It’s the only way to drag Obama kicking and screaming to the bargaining table. BTW, a government shutdown is seldom a bad thing. The stock market goes a little crazy, but rebounds once the shutdown is over. Effects, which are NOT far reaching, are temporary at worst. So lets stop with the rhetoric Barack. Put action where your mouth is and bargain. Your legislation stinks. Let’s cut out the rot, and maybe the law will actually work. Dr. Michael J. O’Connell, Barrington, New Hampshire asks, “Have you seen the commercial supporting the next step in Obamacare, in which an apparently quite healthy, fecund black mother claims to have medi this, medi that, and medi everything?” Then the camera pans to an apparent homeless “victim” who stares up at the camera from a park bench and drably states “you don’t know me.” Somehow this raw display of dependency on entitlements does not quite seem to meet its apparent goal – to generate public support of yet another huge entitlement program. It befuddles me as to who might be advising Obama on how to market and sell his sloppy, ill created, massive legislation that was passed at the 11th hour, with sleight of hand by the Senate. Like Sarah Palin’s saying, the effort seems to be akin to “putting lipstick on a pig.” But in this case the ‘pig’ is very, very ugly, and the lipstick is totally transparent. 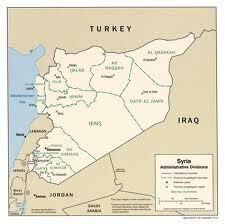 Dr. Michael J. O’Connell, Barrington, New Hampshire notes the recent missteps on Syria by our esteemed President, may possibly be the beginning of the end of the Affordable Care Act (ACA). With a good deal of luck, it may be that Obama has used up all the capital he garnered in his last election victory and his relative, though arguable success, in reversing the deep recession. This country now appears weak, indecisive, and beholden to a rogue nation like Russia, with a rogue leader like Putin, to patch together a chemical arms collection and disposal plan. Who on earth is the administration kidding? We can’t even get rid of our own Sarin gas and we have been trying for two decades. Furthermore, even if we could pull this part of the deal off, who is going to be able to hold Assad accountable for revealing all his weapons depots? This is quite the mess. Put into this mix the fact that repeat domestic budget battles loom, and the Republicans are saying they will not fund any budget unless ACA is defunded. We may have hit a crystallizing moment in the status of ACA. Its life may hang in the balance, as may the life of the Obama administration! 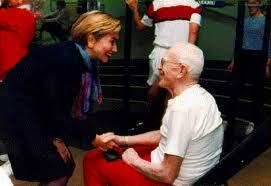 Dr. O’Connell noted that there was the Hillary Clinton sponsored shake up of healthcare in 1993-1994. After considerable hand wringing, that went NOWHERE, but did generate a good deal of intellectual sparring over new concepts such as capitation and gatekeeper models. ACA, aka “Obamacare,” takes some of its roots from back then, but also derives groundwork from the early 2000s and arguably somewhat useful experiments in healthcare reform at the state level, such as “Romneycare” in Massachusetts. Since passage, ACA has made some positive inroads (e.g., elimination of “prior existing” policies and mandated coverage of college student dependents) though its future provisions are still in doubt given lack of public, medical, hospital, and pharma support. So what are healthcare administrators to do? Answer; prepare REASONABLY for just about anything. 1. Have to cover all bases (ACA survives/ACA dies), but with relationships, NOT by pulling the trigger…don’t be like all those hospitals who were suckered into purchasing family practices in the 1990s, then were stuck practicing medicine, and with unproductive cost centers. 2. Diversify by leasing space, trialing technology (not buying and getting locked in and potentially hosed again, should dynamics change). 3. Momentum has already swung to EBM (evidence based medicine). Embrace and play the game well. My strong opinion is that resorting to textbook, ‘recipe driven’ medicine will not work, and totally ignores the art of medicine, but it may require years/decades before this fact is discovered. 4. Seek ‘cash on barrelhead’ opportunities such as quick care centers, laser resurfacing, etc. 5. Become more horizontal…spread out to numerous sites to increase market exposure, but be sure to have the infrastructure and solid IT to support this. 6. Fill niche services not performed by competition.